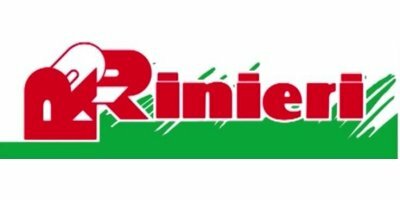 CRS - Trimmers and Pruners- Pre-Pruners for Vineyards - Pruning Kit by Rinieri S.r.l. The pruning kit CRS is used for pre-pruning of the vineyard trellis. The kit consists of one horizontal bar with nylon wheels, gas spring for automatic in and out and hydraulic movement to avoid the posts plus one or two bars optional. These bars work between the wires of the row and cut all the branches. The kit can be applied on every frame B1, B1 SB and turning frame. Trimming machine for vineyard CRL double blade available in different models with bars of 1,5-1,8-2,1 m single or double side of cutting. Cimatrice da vigneto CRL bilama disponibile in diversi allestimenti con barre da 1,5-1,8-2,1 m singole o doppie. No reviews were found for Model CRS - Pruning Kit. Be the first to review!